Craftster Community > CITY GUIDES FOR CRAFTSTERS > CANADA > British Columbia > japanese food supplies? in aberdeen centre? japanese food supplies? in aberdeen centre? 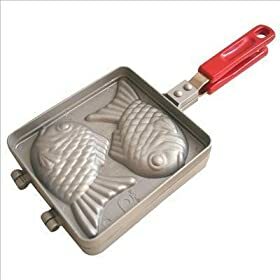 i want to make some taiyaki and was wondering if there was a shop in Aberdeen that sells taiyaki pans? maybe daiso..
i would like to eat some storebought taiyaki but it is probably only available in chinatown and i don't think I'll go there for a long time. any other place in Richmond/Vancouver that sells the plan would be fine too!